LEADING holiday specialist Helen Wong’s Tours has released a new-look China program for 2016-2017 with the goal to attract a wider Australian audience through a contrasting range of “value for money” journeys. In addition to the 12 popular Valued Group Journeys and two Premium Group Tours, Helen Wong’s Tours has included as many as 23 Private Journeys of four to 13-day duration, designed to cater for independent travellers and families. Three to seven-day itineraries for Hong Kong and neighbouring Macao are also highlighted in the comprehensive 68-page China brochure which features a series of photographs taken by Australia’s highly-acclaimed panoramic photographer Ken Duncan on his recent journeys with Helen Wong’s Tours. The 2016-2017 China program is filled with exciting itineraries and city and regional information. The pioneering travel company has again offered an inviting list “Helen’s Choice” inclusions – personally hand-picked “value for money” bonuses which are built into the itineraries – at no extra cost. Valued Group Journeys range from 13 to 25 days, prices starting at $4870 per person, twin share from Australia for the 13-day China Gems, from $4980 for the 14-day China Odyssey itinerary. In addition to providing good value for money on its group journeys, Helen Wong’s Tours offers guaranteed accommodation in the programs. 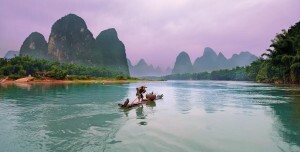 When cruising along Yangtze River, the China specialist also includes exclusive amenity packages of valued added inclusions – worth $160. QR codes which, once scanned by a Smart Phone, captures the destinations on a video.